As stated on the TED website, TED was born in 1984 out of Richard Saul Wurman’s observation of a powerful convergence among three fields: technology, entertainment and design. In 2006 when the talks from the conference were made available for free, TED’s reach expanded globally. The first six talks reached over a million views within three months. We were contacted by Jose-Gomez Marquez, a TED fellow, who introduced us to the TED team. Jose is a founder of Maker Nurse, an organization that provides tools and resources to enhance innovation among nurses. Maker Nurse partners with health care institutions to nurture nurses’ creativity and ingenuity. We are thankful to Jose for introducing us to TED and being an amazing resource during the conference itself. 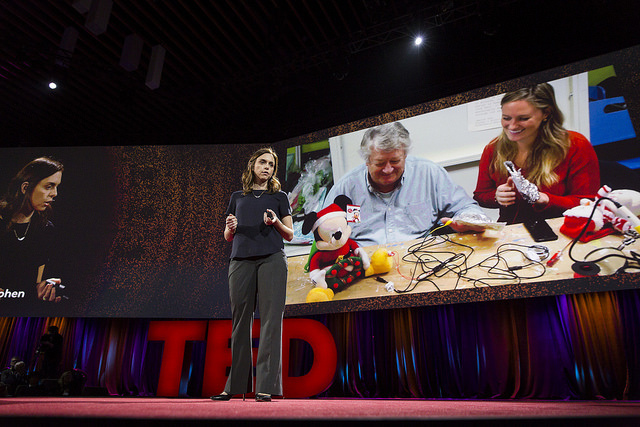 What is the TED experience like? Just being at the TED conference is an experience like no other. It is both exhilarating and intimidating. To be in the same room with individuals such as Al Gore, Steven Spielberg, the movers and shakers in Silicon Valley is strange enough. Speaking to this group takes it to another level. This is one of the most positive and supportive environments to be in; standing on the red circle is still one of the scariest things. 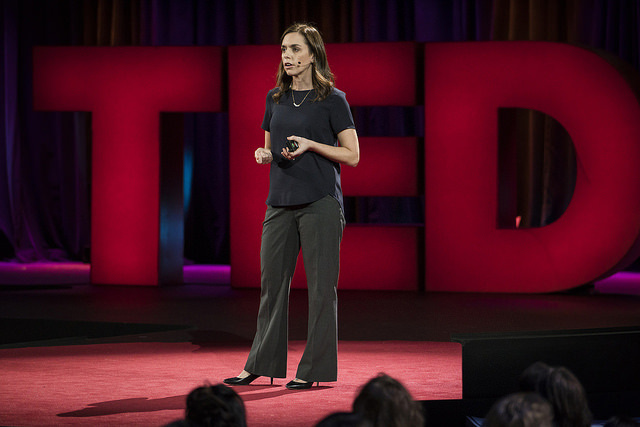 As Tim Urban said in his TED talk this year, “It’s always been a dream of mine to have done a TED Talk in the past.” I couldn’t agree more! For this speaker, I spent quite a bit of time in rehearsals. The constant practicing, memorizing and then more proacticine and memorizing is a wild experience. They tell you to do your talk when the TV is on, at double speed, doing something else; if you can do it in multiple ways you’ll be fine. I was never able to get the double speed down. Once you are up the stage, looking out at the crowd of 1700 people you just have to go with it and hope for the best. Coming down off the stage and the days that follow are invigorating; having people come up to you to discuss your passion and ideas is amazing. You have this opportunity to talk to folks that you would never have before, discuss your ideas, hear what they are doing, and possible setup future collaborations. What Did DIYAbility Speak About? One of our missions at DIYAbility is to educate individuals on how to use technology to enhance the independence of people with disabilities. We believe that the end user should be involved in the production and design of the technology utlized to improve their quality of life. “The computer is the great equalizer”. If a person can access their computer, they can control a 3D printer, learn to program, even get a job. It’s about empowering people to have access to any device, whether it is through adapting a toy or controling a laser cutter with their computer. The goal of our talk was to educate the community about the lack of accessibility in everyday devices and how they easily can be modified for a person with mixed capabilities. 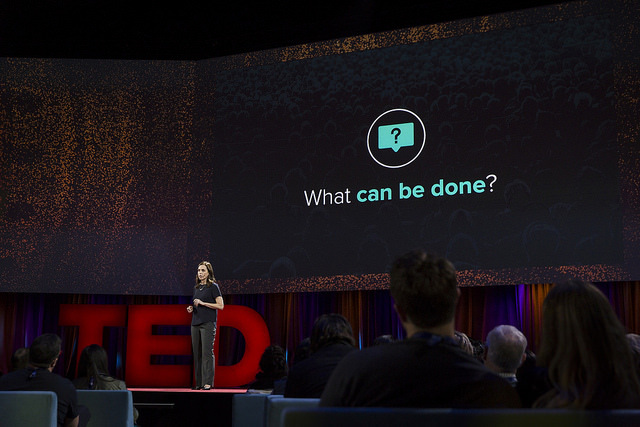 We hope we opened the eyes of the other TED attendees (and future TED talk watchers) to the need for accessibility in a variety of areas that we take for grant daily. Since the talk, DIYAbility has been contacted by various organizations and individuals that have a connection to the disability community. The common theme is wanting to know how they can help and be involved. Conversations have begun focusing on the need to adapt numerous products and how easily it can be done. We hope to continue to educate the public through our workshops, events, website, on ways to increase access for all.